Engagement activities related to the Aboriginal Fisheries Strategy and the Fishery Guardian Program will begin at the end of April 2018. 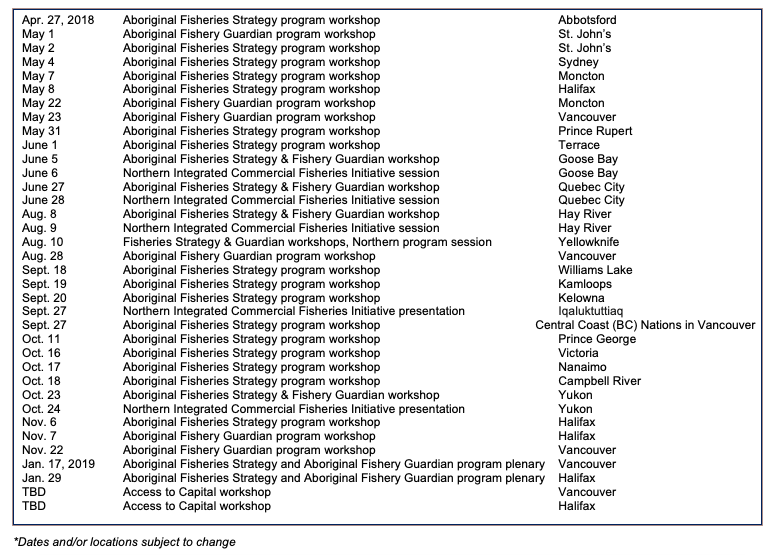 Many workshops are being planned to discuss these 25-year-old programs with community participants and fishery guardians across Canada. The Institute will also continue giving presentations on, and engaging potential participants in, the development of the Northern Integrated Commercial Fisheries Initiative. 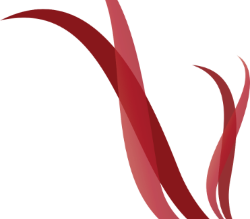 The schedule of proposed workshops, plenaries and engagement sessions will be posted shortly. It will be subject to change pending final arrangements. The schedule of proposed workshops, plenaries and engagement sessions is subject to change pending final arrangements. These workshops were an opportunity to examine, in more depth, the topics identified in the discussion papers. Plenary sessions related to these programs were also held to confirm our initial conclusions. The input was then used to inform our phase one final report. ‘What we heard’ at each workshop was posted following each event.